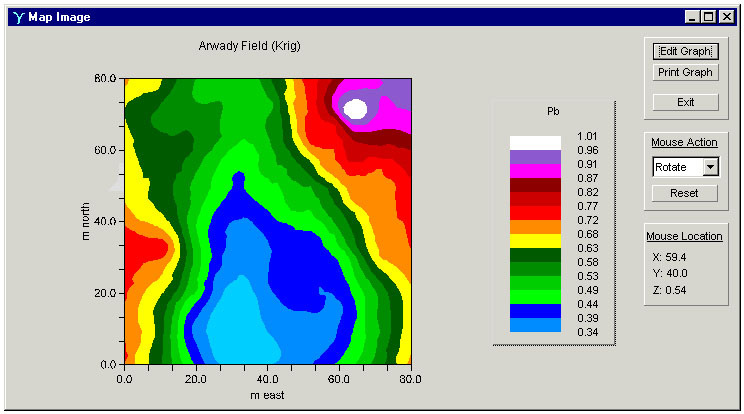 GS+ provides all geostatistics components, from semivariance analysis through kriging and mapping in a single integrated software program widely praised for its flexibility and friendly interface. 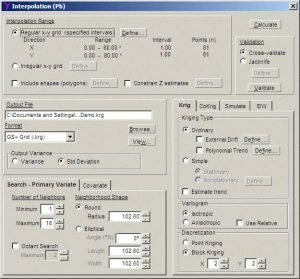 GS is a comprehensive geostatistics software program that is fast, efficient, and easy to use. 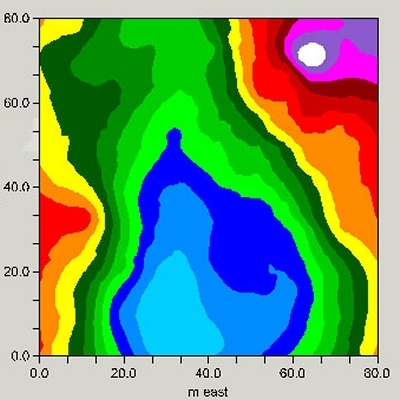 GS provides all geostatistics components, from semivariance analysis through kriging and mapping, in a single integrated software program widely praised for its flexibility and friendly interface. 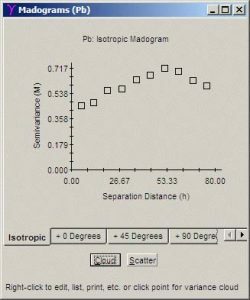 Many users are surprised that geostatistical analysis can be so easy and intuitive. Since its introduction in 1988, geostatistics has been at the heart of GS . Many of our users have access to other geostatistics tools within their favorite GIS or mapping programs but come to GS for their serious geostatistical analyses, especially for exploring geostatistical relationships within data sets. GS output is compatible with industry standards and can be used directly with many other programs. It can also be used as a standalone program. GS has its own data worksheet (which accepts MicroSoft Excel, Access, and other types of data files) and produces its own maps for those users who are not working with other mapping programs. GS is compatible with modern Windows platforms (see system requirements) and accepts data files with as many as 2 billion records. Algorithms are fast and dependable. 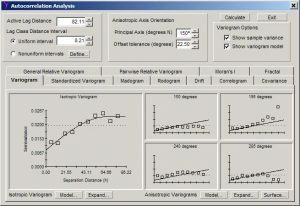 Geostatistical analysis is computationally intensive – prior to 1988 most analyses had to be performed on supercomputers, but GS allows the Windows environment to handle most data sets with ease. Written in a combination of Visual Studio and Fortran, and drawing on GSLIB subroutines, GS shows that computation speed, flexibility, and an intuitive interface are compatible. Scientists, engineers, and students worldwide are using GS . Take a look at the GS+ Features for a quick tour of the software’s main features, including pictures of all major windows. See featured statistics for a quick listing of the various statistics provided. 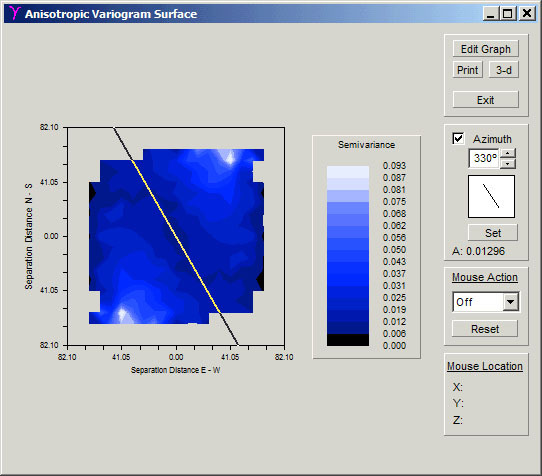 Variograms, autocorrelation, anisotropy, variance cloud, h-scattergram analysis. What are the system requirements for GS ? GS is a Windows program and is compatible with Windows 7. GS has not been tested with Windows 10 or 8, but no problems have been reported. There is no Mac, Linux, or Unix version of GS at this time. A Pentium or Pentium-equivalent processor is required to run GS . Geostatistical analyses are extremely CPU-intensive, so faster processors are recommended for larger data sets. GS requires at least 64 MB to run. More memory is recommended for larger data sets to avoid frequent memory swaps between memory and the hard disk. The installation of GS requires 40 MB of hard disk space. Depending on memory available, more disk space may be needed for Windows swap files when GS is run, especially for large data sets. What is the difference between v10 and v9? Gamma Designs has released GS v10 to accomodate a new license activation server. All other functions are the same as GS v9. If you need to install the program on a new computer and have an 18-digit license number or activation code, download the GS v10 demo and use your code to unlock the demo. The 15-digit activation code requires the older GS v9 demo for activation. Contact Gamma Designs or RockWare for access to the demo file for GS v9.